Just a mere year ago Keita Bates-Diop was part of a team that only managed 11th place in the Big Ten conference. This year, not only is he a member of a second place team, Ohio State, he is also player of the year for the Big Ten. This is a prestigious title given by media and coaches. 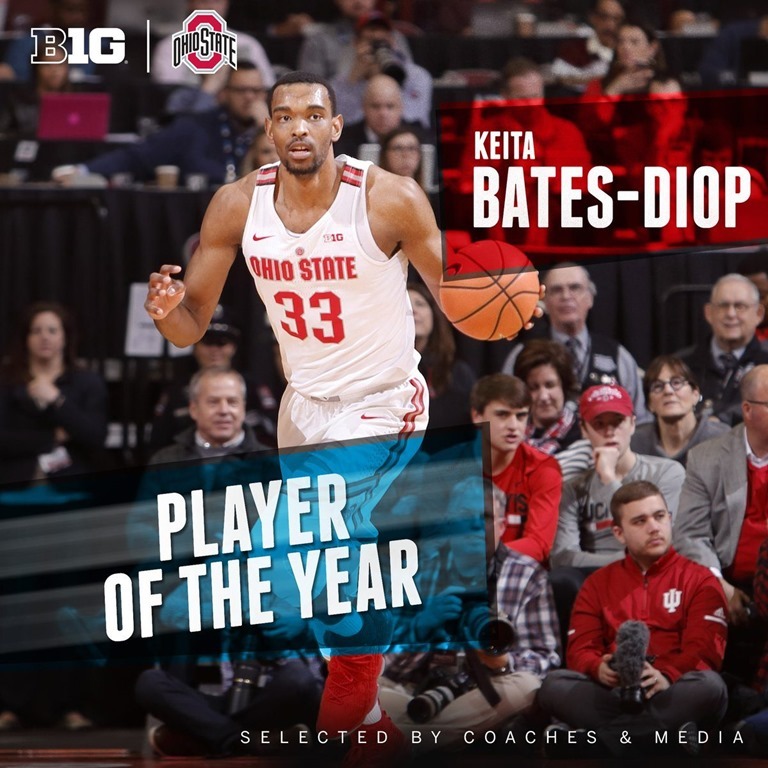 The stats Keita Bates-Diop put forth to win the title, an average of 8.9 rebounds and 19.2 points per game. These impressive stats were accumulated just one season after a leg injury. His points average would also be one of the reasons that the Buckeyes would finish second in the season. The Ohio State team finished the season with an equally impressive record of 24-7, 15-3. This is not Keita Bates-Diop's only title. The native from Normal, Illinois has also been Player of the Week for the Big Ten conference four times. Other impressive statistics include a 35 point, career-high game against Illinois in early February. In the game against Michigan State, ranked number one, he would rack up 32 points. As a redshirt junior Bates-Diop should have two 30 point games, giving a hint to the current seasons success.